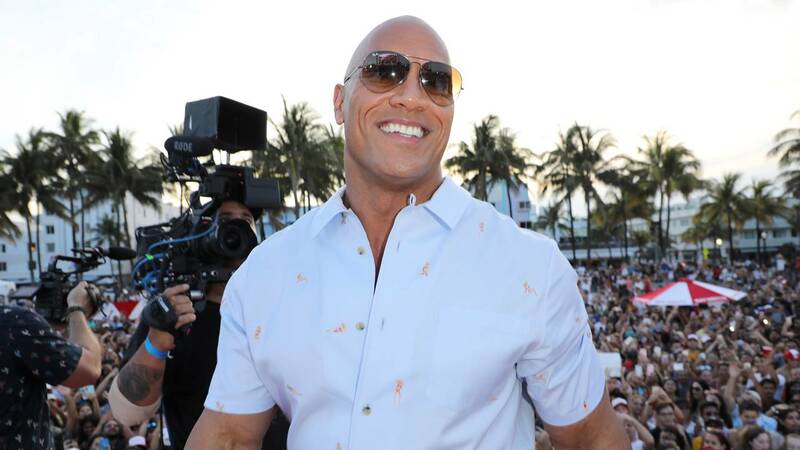 (CNN) - Before Kevin Hart slated to host the Oscars (for about a day), Dwayne "The Rock" Johnson claims he was the "first choice" for the gig by the Academy of Motion Pictures Arts and Sciences. Johnson took to Twitter on Wednesday to respond to a follower who suggested the actor host the upcoming event. "Ah mahalo dude, I was their first choice to host this year, and my goal was to make it the most fun and entertaining Oscars ever," he tweeted. "We all tried hard, but couldn't make it work since I'm shooting 'Jumanji.' Academy and I were super bummed but maybe one day down the road." Johnson's revelation comes just a few days after organizers confirmed there will not be an Oscars host this year. Hart was announced he was set to host the show in December but quickly stepped down following controversy over past homophobic tweets and jokes. Hart and Johnson are friends and co-starred in the 2017 film, "Jumanji: Welcome to the Jungle." The host-less 91st Academy Awards will take place Feb. 24.